An irreversible transformation is taking place in the lives of many thousands of university educated professional women in the United Arab Emirates, Oman and the Kingdom of Saudi Arabia. Drawing on eight years' participative research and extensive secondary sources, Nick Forster introduces the first extensive study to document this development in the Middle East. 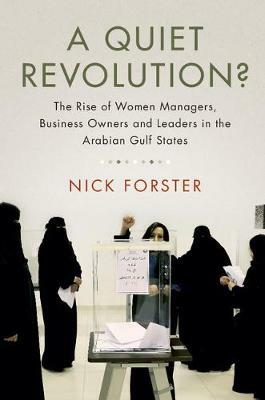 This book documents the emerging economic and political power of women, and how they are beginning to challenge ancient and deeply-held beliefs about the 'correct' roles of men and women in conservative Islamic societies, and in public and private sector organisations. It also describes the vital role that women could play in the economic development and diversification of these countries, and the broader MENA region, in the future. It is an essential read for professionals, scholars and students, in fields as diverse as economic development, international management, gender studies, and Middle Eastern studies.